The first time I spoke the words “Mt. Hood” was early spring five years ago while sitting at my computer, then living in Utah, looking through pictures of mountains to climb. 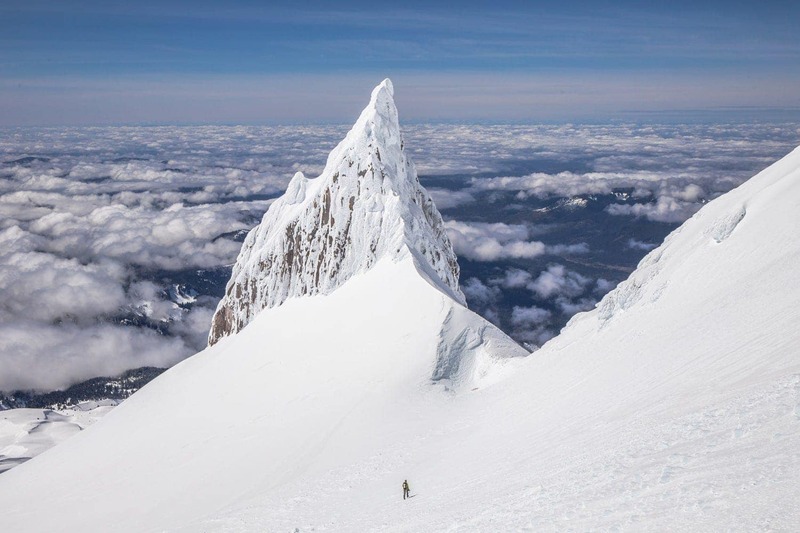 I came across a photo of a rim-ice-encrusted rock monolith that pierced the sky like a giant dagger on a mountain side. It captivated me. I discovered that this formation called Illumination Rock is on the escarpments of Mt. 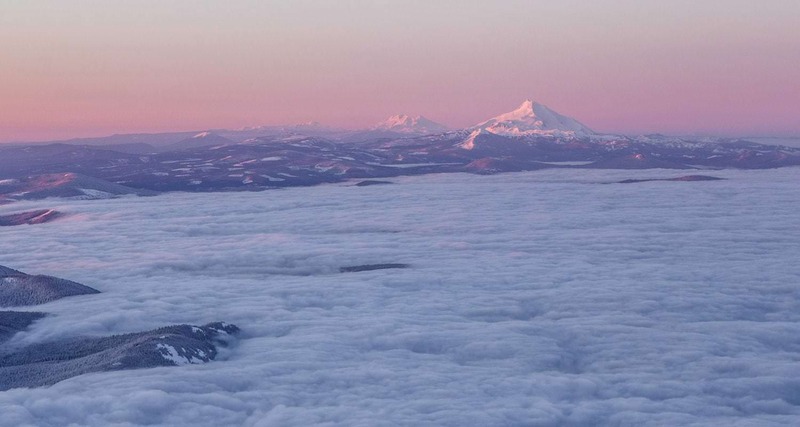 Hood, Oregon’s tallest mountain at 11,250 feet. I planned to climb Mt. Hood that summer, adding it onto another trip. But with limited time and fatigue, I returned home without seeing Mt. Hood for myself. Years passed, but Mt. Hood remained at the back of my mind. The image of Illumination Rock pierced my thoughts from time to time, reminding me that I had to return, I had to experience this mountain for myself. In 2016 my work as a photographer moved me to Washington, and with Mt Hood so close I knew that it wouldn’t be long. As Mt. 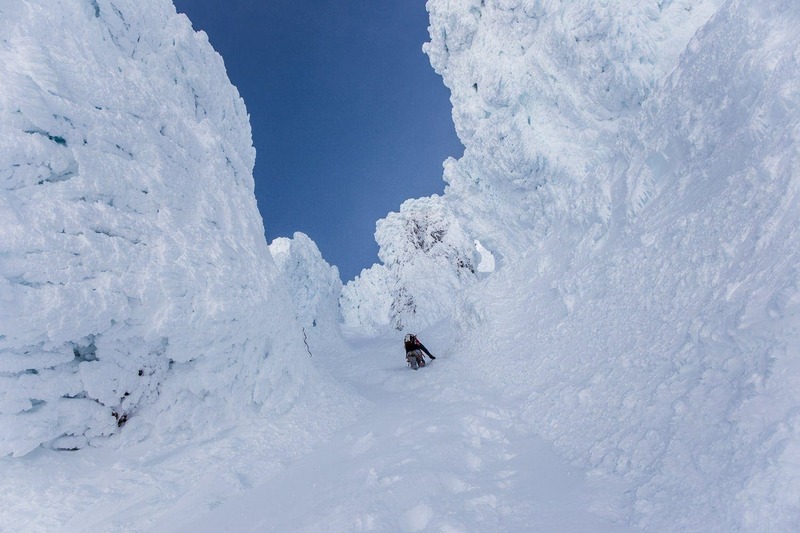 Hood has one of the easiest ski descents out of the volcanoes of the Pacific Northwest, it became my first choice to summit come spring. My climbing partners and I set a date, which came with a less than ideal forecast: wet and stormy. Hoping for a window of clear skies, we reached the top of the Timberline Lodge ski lifts at 8,500 feet and found ourselves in a whiteout with strong freezing winds. We returned to the cars, rejected by the mountain. 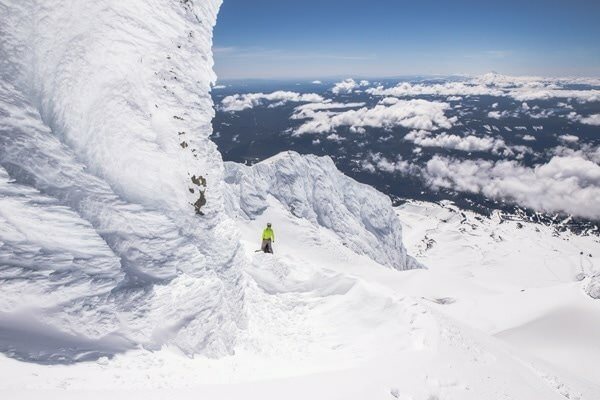 Despite this, my desire to climb and ski the mountain burned brighter then ever before, so I religiously followed the weather forecast watching for that mythical weather window. A week later my vigil payed off with one day that was forecast to be a beautiful calm sunny day in the middle of a wet stormy week. I called my climbing partner and made plans to return. This time, to change things up, by climbing up a more challenging route, the Reid Headwall on the west side of the mountain. When we arrived the wind rocked our car and snow drifts formed on the road. Billions of stars greeted us in the calm night air. At 3:20 a.m., we applied the skins to our skis, clipped in our boots and began our climb. Starting at Timberline Lodge (6,000 feet), we followed the groomed runs up the mountain alongside the ski lifts. As we reached top of the ski lifts (8,500 feet), the sky began to glow with the light of the coming sun, first illuminating clouds and the top of Mt. Hood, then the landscape around us. Looking around we watched as the alpine glow lit up the other surrounding mountains, including Mt. Jefferson, Oregon’s second tallest mountain, to the immediate south. From the top of the ski lift we headed west, cutting across Hood’s slopes to the striking Illumination Rock, the rock monolith that first drew my attention to the mountain. We reached the saddle (9,250ft) between the rock and the mountain and left our skis there so that we could climb the mountain unencumbered. Continuing around the mountain to the west face we stared up at the daunting Reid Headwall, the route by which we chose to reach the summit. 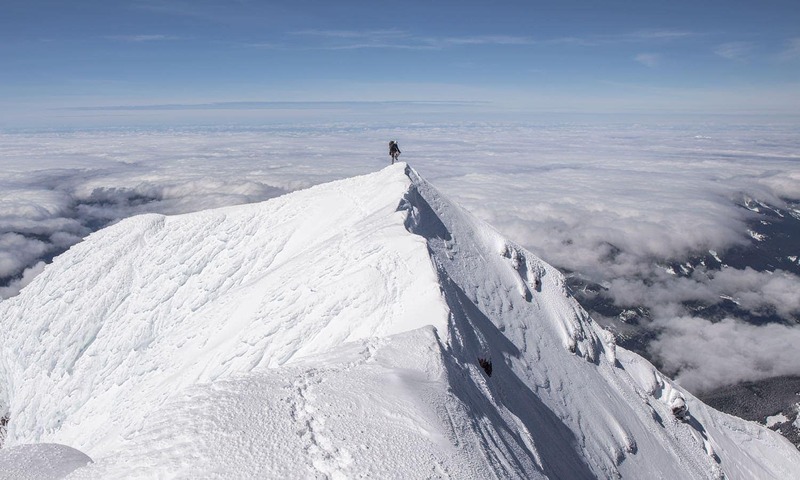 It was intimidating with 50-60 degree steep slopes, a gaping bergschrund at the bottom and rim-ice-encrusted cliffs that seemingly blocked our way to the summit. It felt like staring up at the walls of a beautiful, impenetrable castle of ice. There wasn’t any obvious path to reach the summit from our vantage point, but this is where our map indicated that our route began. 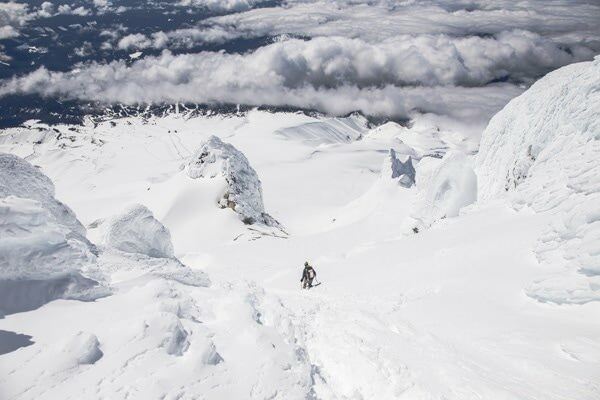 We started climbing up the steep snow slopes with crampons on our boots and ice tools in our hands. Weaving our way up first crossing a snow bridge over the bergschrund, then up and between the ice cliffs in a series of narrow chutes, we reached the ice step that blocked our final push to the summit. The ice step was about 25 feet tall, the sun was getting higher in the sky, warming the temperature and making the danger of ice falling off the cliff real. 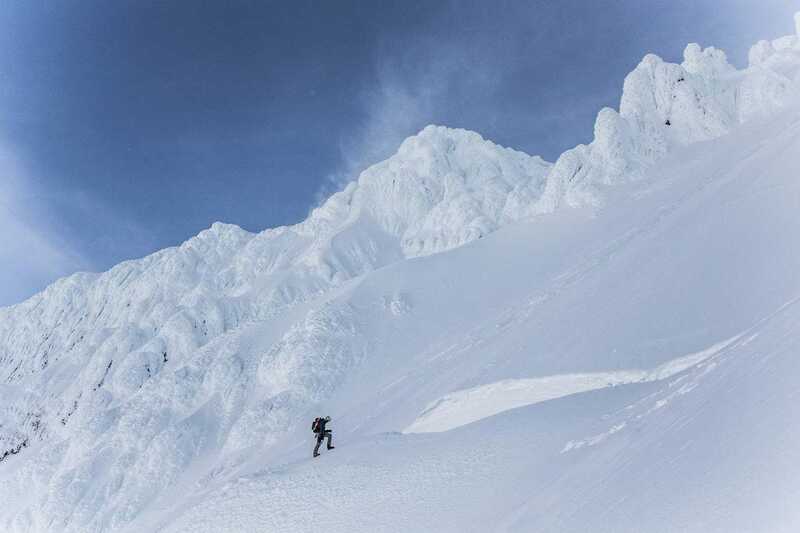 So we didn’t linger long and made quick work climbing up the step and the upper reaches of the headwall to the summit of Mt Hood (11,250 feet). We found ourselves alone on the sunny summit taking in the views. It was a perfect day so instead of descending immediately we took our packs off, relaxed and ate our lunches consisting of cheese, salami and granola bars. After nearly an hour of enjoying this special summit we decided that it was time to go. We made our way down the standard route, passed crater rock that spews its sulfurous, rotten egg smelling gases and back down to the Illumination Rock saddle were our skis were waiting. Arriving at the saddle we cheered and spent a few more minutes taking in the beauty of this mountain, especially Illumination Rock before clicking into our skis and returning to our car over 3,000 feet below in a matter of minutes. The experience of climbing Mt. Hood, seeing Illumination Rock, and getting close up and personal with the wild rim-ice-encrusted cliff was an unforgettable event. All those years of waiting and dreaming, failed attempts and weather challenges made my summit of Mt. Hood even more rewarding. I decided that exploring Columbia River Gorge would be a cherry on top and make my Oregon trip complete. The next day, I made a trip to hike the Eagle Creek Trail to Tunnel Falls. Out of all the trails in the area this trail is my absolute favorite, due to the length (12 miles round-trip), the pristine forest, beautiful waterfalls and fewer crowds then you will find in most areas along the Gorge. All of this culminates at Tunnel Falls, which has a unique section of the trail that passed through a tunnel behind the waterfall. Hiking to Tunnel Falls and back is straight forward and relatively flat. Following a well maintained trail, it took me five hours to hike the 12 miles out and back. For those that aren’t interested in hiking the 12 miles in one day, I noticed few campsites near Tunnel Falls that looked like awesome places to camp. If you ever visit the Gorge, keep it gorgeous by packing out all of your garbage including the garbage that others leave. 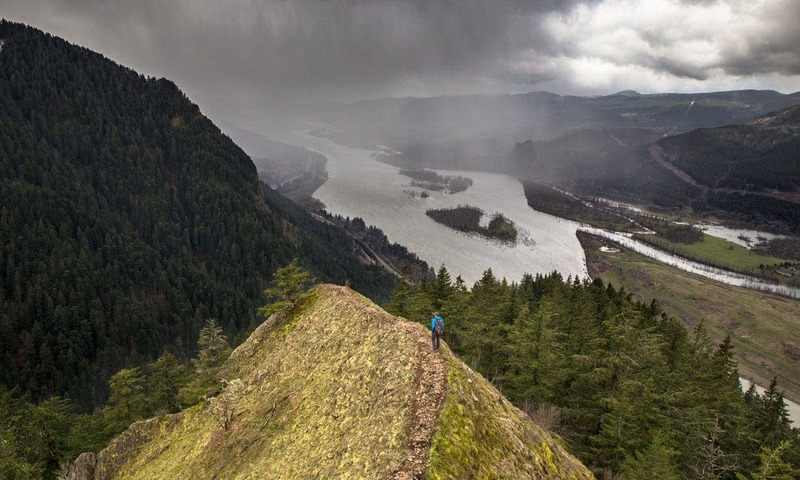 Munra Point is a small rocky point on a narrow ridge, 1,800 feet above the Columbia River, and offers spectacular views of the Columbia River Gorge — but it isn’t for the faint of heart. I began my hike at the Wahclella Falls trailhead and headed west on a trail that follows the historic highway for a short way until veering south and taking a steep trail up to the top of the ridge. In just under 2 miles this trail climbs 1,800 feet, making it steep with some exposure at times. Just before reaching the top of the ridge, and the point just beyond, I encountered a very steep section of the trail that required hands-on scrambling with a fixed rope that was there to assist me for the next 40 feet to the top. The views were spectacular. It was a pleasant change from the deep-green, waterfall-filled canyons that are numerous in the Gorge. I spent a lot of time up there just sitting and taking it in until a small rain cloud started making its way up the river, coming straight at me. Knowing how steep the trail was and, especially that section near the top of the ridge, I began making my way back down the trail before the rain hit, knowing that it would make the trail slippery and treacherous. After returning to the car, I had a few more hours before I needed to make my way home so I took a short hike to Wahclella Falls, which was pleasant and a perfect end to my trip to Oregon. I’ve visited many beautiful places and climbed many mountains, but my experience in Oregon left me speechless. The unique beauty, breathtaking views and variety made me fall in love with this state. Even if I can now cross Mt. Hood off my bucket list, I will continue to add more Oregon places to my list so I have more reasons to come back and explore. 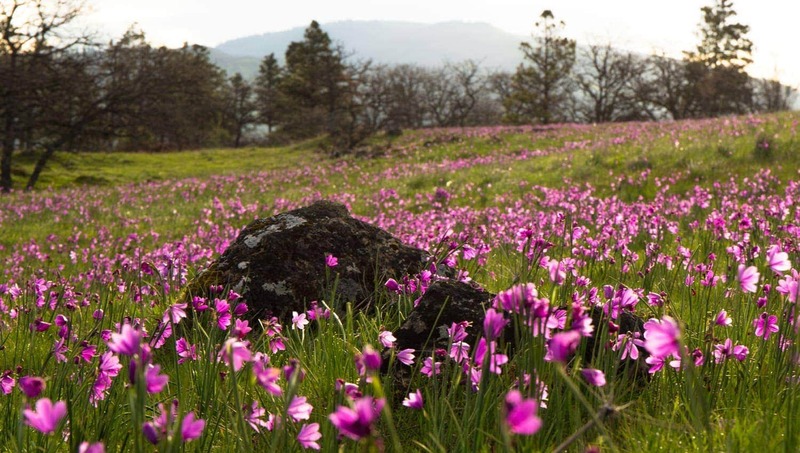 Editor’s note: Spring is a great time to visit Mt. Hood and the Columbia River Gorge. Be sure to pick a hike that’s right for your skill level. Learn more about this diverse region at hood-gorge.com. Jacob Moon is a self-taught freelance photographer from Bellingham, Washington. From a young age he has always had an insatiable curiosity for the natural world. 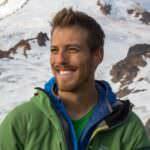 This curiosity has driven him to develop many skills (rock and ice climbing, backpacking, camping in nearly all imaginable conditions, packrafting, backcountry skiing, etc.) that have helped him reach and experience wild remote places around the world. Another deep passion that Jacob has is to share his experiences in the natural world with others. This passion has lead him to reach out and tell his stories through social media, blogging, videography and workshops.